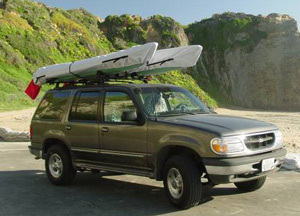 For making structural repairs such as cracks or holes in just about any type of "plastic" canoe or kayak. 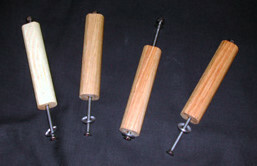 THIS IS THE ONLY REPAIR KIT THAT WORKS ON POLYETHYLENE CANOES OR KAYAKS. 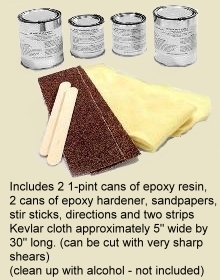 (aka: "plastic" polylink3, crosslink3, triple tough, SP3, RamX, poly) If you're not sure what kind of "plastic" your canoe or kayak is made of, just follow the instructions in this kit for polyethylene repair and it will work great! Patching material can be cut into strips for crack repairs OR left in a wide sheet to patch holes. We recommend patching both inside and outside if possible when your boat is broken all the way through. Just patching one side is OK if there is still at least 3/4 of the original hull thickness remaining. Everything you need to repair punctures or tears in the hull of your Royalex canoe. [also works on Royalex, Oltonar, ABS, etc.] Great for patching holes, tears, dents, etc. in your ROYALEX canoe. Patching cloth can be cut into strips for crack repairs OR left in a wide sheet to patch holes. We recommend patching both inside and outside if possible when your boat is broken most of the way thru. Just patching one side is OK if there is still at least 3/4 of the original hull thickness remaining. In addition to this kit you may also wish to purchase Royalex Spray Paint for cosmetic touch-up. Includes: Repair resin, patching cloth & instructions. 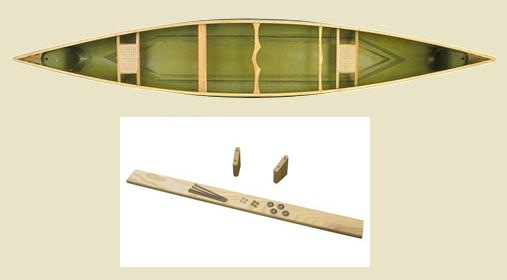 Note: We get our repair kits and resin from our canoe suppliers and We Know they are compatible! If you've been duped by the guys on ebay or tried something from the hardware store you need to peel off what's left of it and use the real thing. For small repairs. Two-part resin designed to adhere well to Royalex and patch damaged areas, forms a strong permanent bond. Royalex Repair Resin forms a paste that fills gaps, dents and gouges well and cures to an extremely hard, durable finish. 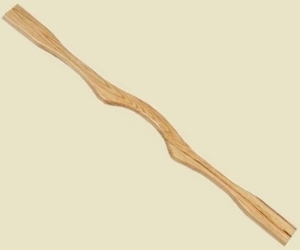 Resin is thick enough to fill holes and dents by itself yet still as flexible as the Royalex. Once cured, it can easily be sanded and painted to match original hull color. Royalex Repair Resin is also used to glue in D-rings and foam knee pads. Use the Royalex/ABS Repair Kit shown above for large cracks and holes. Old Town recommends this two-part methacrylate adhesive be used for filling and sealing scratches and gouges in three layer polyethylene and Oltonar/Royalex canoes and kayaks. Combined at a 1:1 ratio, it has a working time of 15-18 minutes and fixture time of 30-35 minutes at room temperature. 731MMA offers a combination of high strength and stiffness as well as the ability to bond a wide range of materials. 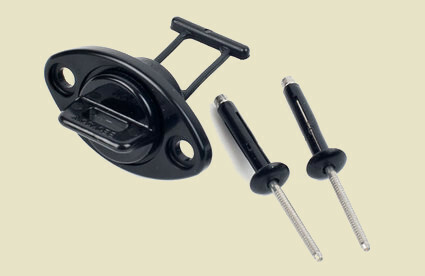 We use the Royalex/ABS Repair Kit shown above for large cracks and holes. This 25ml size is good to fill small cracks or holes. 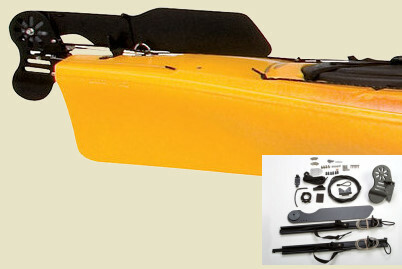 We highly recommend this kit for making structural repairs such as cracks or holes in any composite (fiberglass, carbon or Kevlar) type of canoe or kayak. Structural repairs are generally done to the inside, then a "gel coat" repair on the outside. 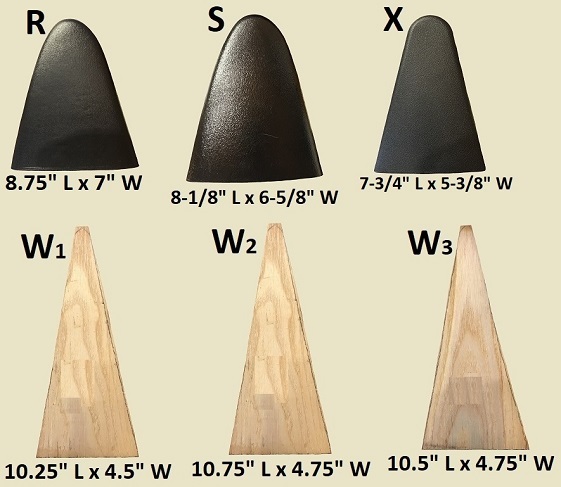 This results in a good looking AND structurally sound canoe or kayak. Gel coat is not included in this kit. Includes:Fiberglass patching cloth, approximately 3 square feet, 16oz. repair resin, 11cc of catalyst (hardener), sandpaper, stir stick, foam sanding block, mix cup, rubber gloves, printed directions. 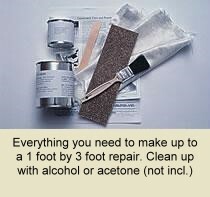 Plenty of materials to repair most issues! Note: We use these same repair materials and premium grade resin for our own canoes-kayak repairs; So We Know they are compatible! If you've been duped by the guys on amazon or tried something from the hardware store you need to peel or sand off what's left of it and use the real thing. As durable as they are, it is still possible to damage Kevlar hulls. This repair kit will restore your hull to its original functional condition. Materials provided are adequate to repair most common cracks, fractures or punctures. Fabric patches may be cut with sharp scissors into different shapes, sizes. Whenever possible perform structural repair to internal side of hull and use Gel coat (clear or colored) to complete repair on outside of hull. Gel coat is not included in this kit. Includes:Kevlar patching cloth, approximately 3 square feet, 16oz. repair resin, 11cc of catalyst (hardener), sandpaper, stir stick, foam sanding block, mix cup, rubber gloves, printed directions. Plenty of materials to repair most issues! 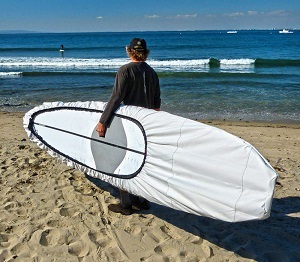 For cosmetic repair of plastic [poly] kayaks OR canoes. 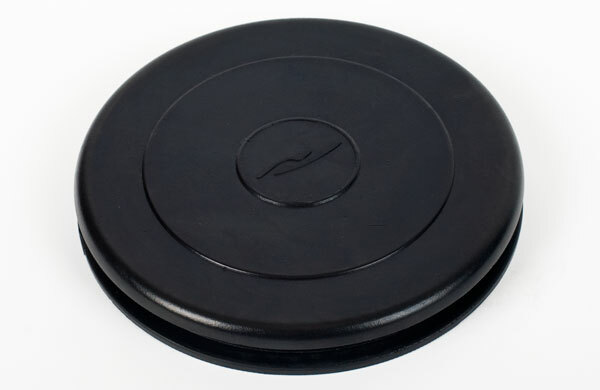 Patch 'n Go is an easy to use material for non-structural repairs of linear polyethylene. 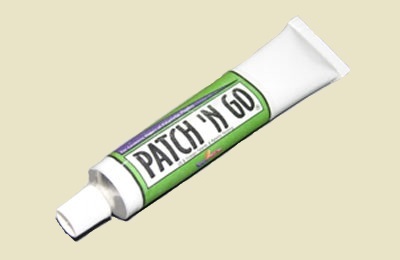 Simply brush Patch 'n Go into scratches, scrapes, pinholes or tiny cracks and heat. 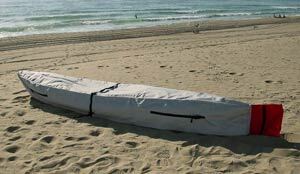 When the material becomes clear, it has bonded to your polyethylene kayak OR canoe. Not recommended for Royalex, ABS, fiberglass or Kevlar materials. Re-useable. Instructions included. Ground shipping only. Specially designed to add impact and abrasion protection or repair the end of a composite canoe or kayak (Fiberglass, carbon or Kevlar). 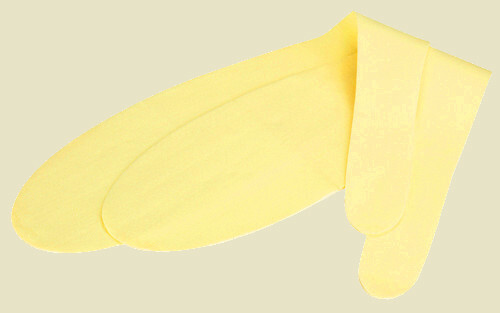 The special pre-cut Kevlar® felts are longer than others. Resin gives a very secure bond to the gel coat or skin coat of a composite canoe. 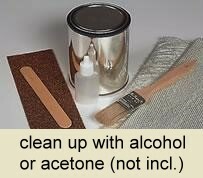 Kit includes felts, resin, catalyst, sandpaper, sanding block, gloves and instructions. 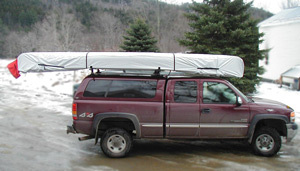 Note: We get our Skid plates and resin from our canoe suppliers and We Know they are compatible! If you've been duped by the guys on ebay or tried something from the hardware store you need to peel off what's left of it and use the real thing. 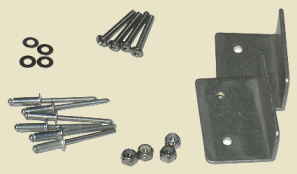 This Kevlar® Skid Plate kit can be used as a repair for badly worn ends or as extra reinforcement for rugged use. Or better yet, put a pair on before you damage your canoe! Does NOT work on polyethylene or polylink3. 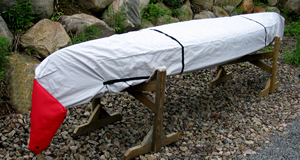 Note: We get our Skid plates and resin from our canoe suppliers and We Know they are compatible! If you've been duped by the guys on ebay or tried something from the hardware store you need to peel off what's left of it and use the real thing. aka; THE BEST SKID PLATE KIT. Have you just purchased a new canoe or is your older canoe starting to show the wear and tear of countless memorable trips? 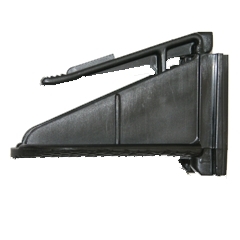 You may want to think about putting on a Kevlar® Skid Plate. 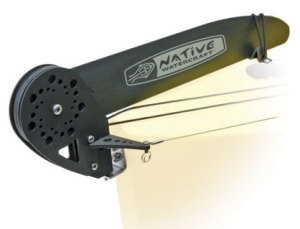 This Skid Plate kit protects your new canoe or helps restore the worn out ends of your older canoe, protecting against rocks and other debris you may come across on your paddling voyages. 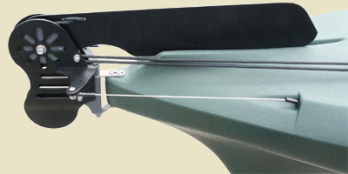 For making structural repairs to badly worn ends (bow and stern) on just about any type of "plastic" canoe or kayak. 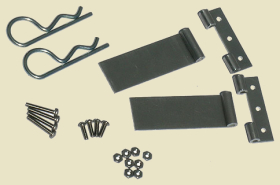 THIS IS THE ONLY SKID PLATE KIT THAT WORKS ON POLYETHYLENE CANOES OR KAYAKS. (aka: polylink3, crosslink3, triple tough,SP3, RamX, etc.) If you're not sure what kind of "plastic" your canoe or kayak is made of you better use this kit to be safe. It sticks to all hull materials. This is the kit we use at the shop, it comes with more resin -which is neatly divided into two cans (one for each end) and the Kevlar felt pieces are largest available. 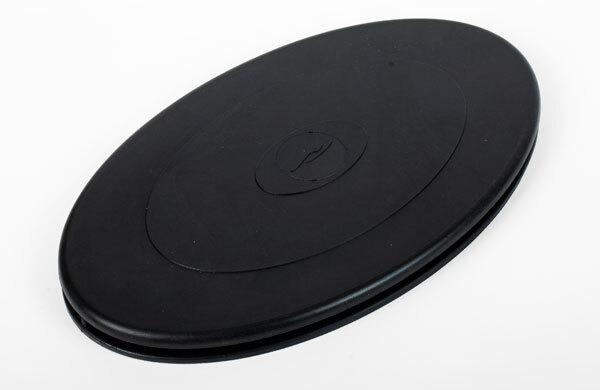 Pair of Kevlar skid plate felts as supplied in our Skid Plate Kit. Felt can be trimmed to custom size or shape with sharp scissors. FELTS ONLY - RESIN NOT INCLUDED! Gel Coat Colors: This waterproofs the cloth and resin beneath. Gel coat is the shiny, hard colored layer on the outside on any composite (fiberglass or kevlar) canoe or kayak. 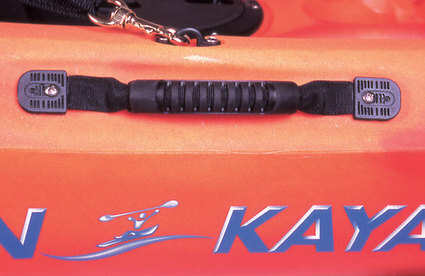 Many Kevlar boats have a "clear" gel coat for lighter weight. Much thicker and more durable and longer lasting than "paint". If you're not sure what you have please give us a call at 1-800-452-9257 and we'll help. Below, we have noted brands that are a very close color match but may be a suitable match for which ever brand you own and want to repair. Please remember that some color fading has occurred on your used boat and that a perfect "shade" match is virtually impossible! 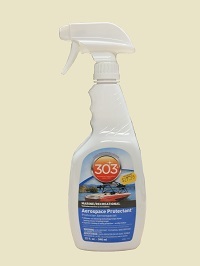 We recommend 303 UV/Wax Protectant for a bright, long lasting finish. Gel Coat (4oz) - in stock colors 4oz Gelcoat; Good for most brands of composite (fiberglass, Kevlar, carbon) Canoes and Kayaks. 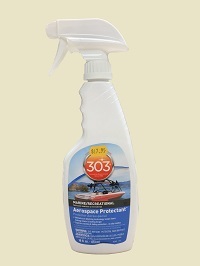 Gel coat is the exterior -hard shiny finish on many canoes and kayaks. 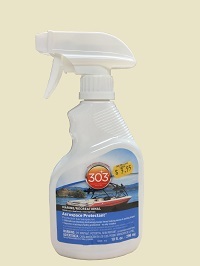 We get our gelcoat direct from our canoe and kayak suppliers; So we know it is compatible! We are proud to offer a selection of popular colors but do not feel an exact match is possible even within the same brand. Note: plastic boats do NOT have gelcoat. Fiberglass and Kevlar boats are generally smooth on the outside and textured on the inside. 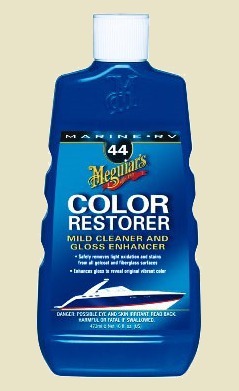 Kevlar boats often have a "clear" gelcoat. Once this has worn away you should repair it to avoid real structural damage. Some gelcoat color may be shipped from our supplier which may take two weeks. Note: catalyst is required but may not be shipped. This is sold at your local hardware - automotive store (instructions included will tell you exactly what to ask for). Some gelcoat colors may be shipped from our supplier which may take two weeks. Since Gelcoat used on a given model of canoe or kayak varies from one year to another, We Do Not Promise a Color Match. Gel Coat (8 oz) -in stock colors 8oz. Gelcoat; just a larger Size than Above. Gel Coat (16oz) - in stock colors 16oz. 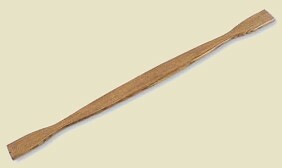 Gelcoat; just a larger Size than Above. This is not part of the "Polyethylene/Royalex repair kit" and must be ordered separately. 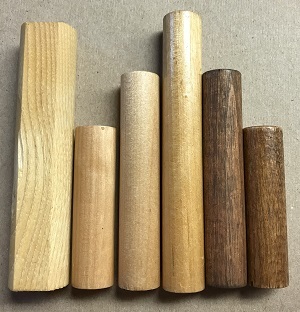 Sticks better than regular paints. 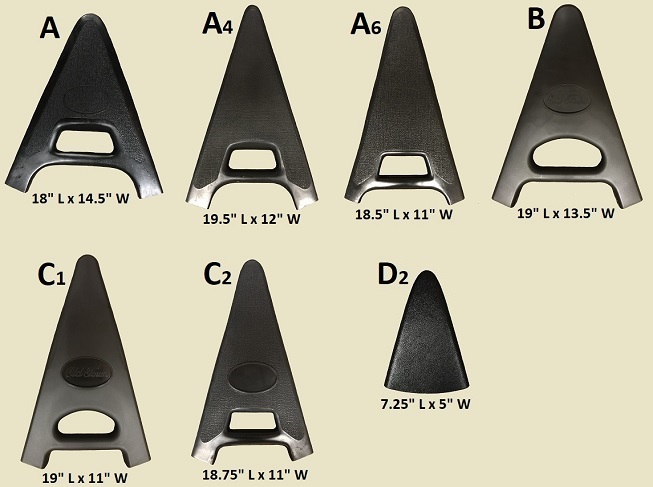 For poly boats order the closest color. If the outer "color" layer has been worn off your canoe in certain areas we recommend painting to protect the inner ABS layers from ultraviolet damage. We get our Paint from our canoe suppliers -not the hardware store! So we know it is compatible. We are proud to offer a selection of popular colors but do not feel an exact match is possible even within the same brand. Note: we know of no other paint that will stick to Royalex. These are the only colors available. 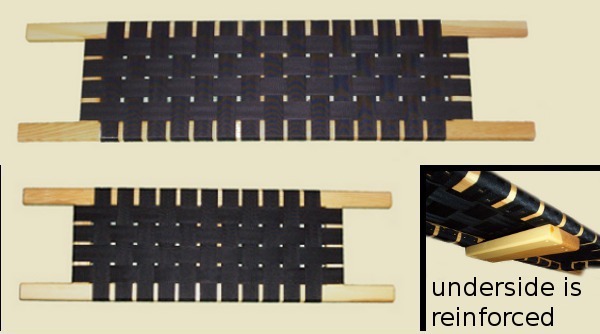 Since actual canoe colors of a given model vary from one year to the next we do Not promise a color match. Spruce Green: current Wenonah, Mad River and Bell models. Green: current Old Town, Nova Craft models, older Wenonah and Mad River models. Red: various Old Town, Nova Craft, Wenonah, Mad River and Bell models. Burgundy: various Old Town, Nova Craft, Wenonah, Mad River and Bell models. Special paint we get just for our Sportspal and Radisson models. We get our Paint from our canoe suppliers -not the hardware store! So we know it is compatible with canoes. We are proud to offer a selection of popular colors. Special marine grade paint for fiberglass canoes or kayaks. May be rolled, sprayed or brushed on. This is One Quart can. Some paint colors may be shipped from our supplier which may take two weeks. Since actual colors used on a given model of canoe or kayak varies from one year to another, We Do Not Promise a Color Match. 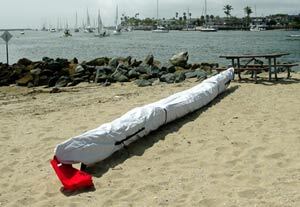 Don't Let the Sun Rot Your Expensive Plastic Kayak or Color Fade Your Gel Coated Canoe! 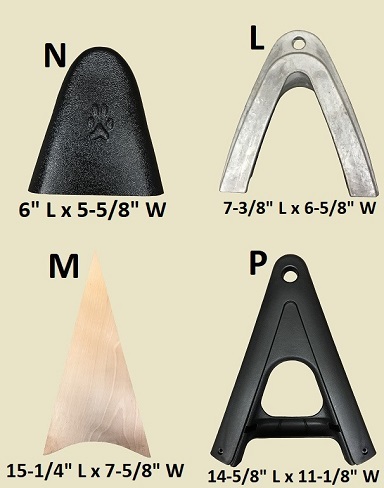 Universal type mounts we use on our J-Cradles and Gull Wing Saddles. 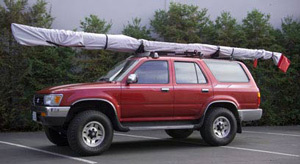 Fits Yakima Core bars, Jetstream bars and classic round bars. 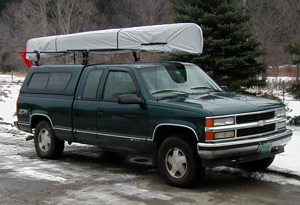 Also fits many other brands and most vehicle factory roof racks. 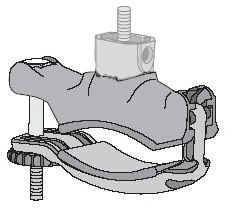 Replacement Snap-Around type mounts we use on our J-Cradles and Gull Wing Saddles. 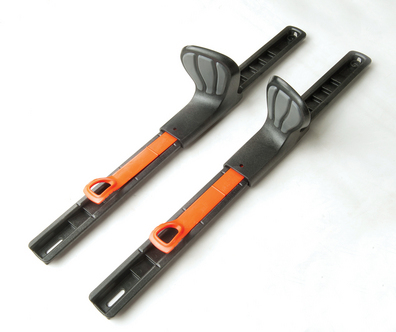 For extra security we use TWO mounts per saddle or cradle, or FOUR per kayak. 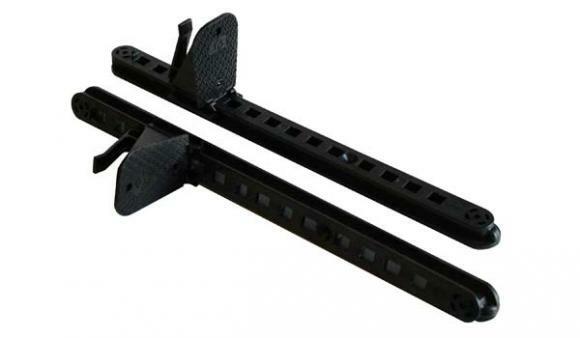 Snap-around mounts fit Yakima classic round bars and classic Thule rectangle bars only. 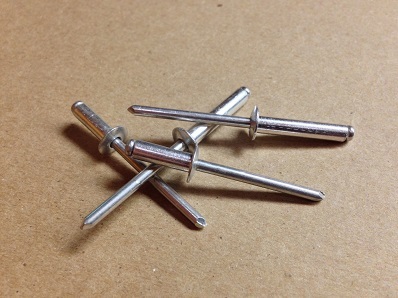 Note: replacement Wing Nut Knobs are sold separately on this webpage. 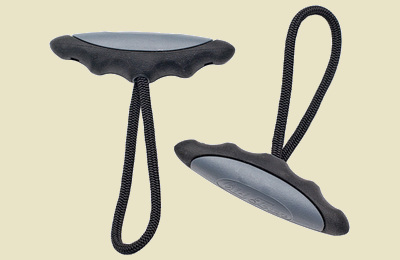 Pack of FOUR Snap-around mounts only. 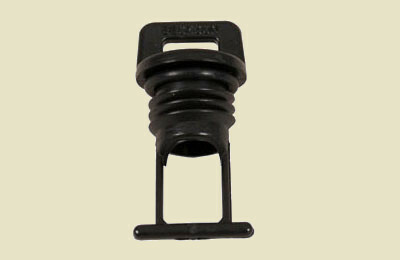 Replacement Wing-nut type knobs we use on our "J-Cradles" and "Gull Wing Saddles". 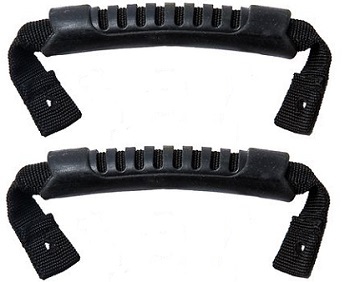 For extra security use TWO knobs per saddle or cradle, or Four per kayak. Note: replacement Mounts are sold separately on this webpage. 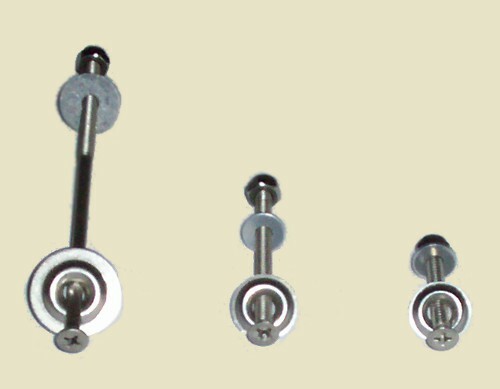 Pack of FOUR Wing-nut knobs only. Select Knob type: Snap-around type knobs OR Universal type knobs.